Check out the Free Being Me Teaser Activity! Images of girls and women in the media are of great interest to girls today. 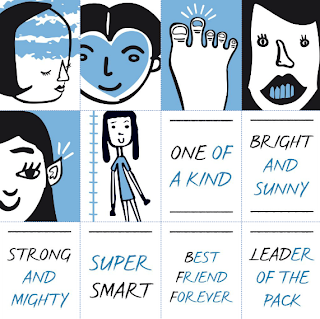 Through a partnership with Dove and the World Association of Girl Guides and Girl Scouts (WAGGGS), Girl Scouts of the USA will be launching Free Being Me, a global leadership initiative focused on helping girls better understand global definitions of beauty, define beauty for themselves and boost their self-confidence in the process. Free Being Me will help girls understand from a global perspective that a greater diversity of beauty exists and give them opportunity to take action to promote this diversity to girl locally and globally. Importantly, Free Being Me can be used to introduce or enhance girls’ experiences along the It’s Your Story—Tell It! leadership journey series. We encourage you to use the teaser activity at your upcoming I Can’t Wait recruitment events to build excitement for this new global leadership initiative. Download the Free Being Me Teaser Activity here to help us keep track of how many teaser activities we can share! Get ready to enjoy more activities like this in 2014.